Jennifer Sheller has been promoted to tour publicist at the Mitch Schneider Organization where she will be handling regional and tour publicity campaigns for various MSO clients including Feel, Jurassic 5, Mixmaster Mike and Noise Therapy. While at MSO, she has also worked with such artists as 30 Seconds to Mars, Billy Idol, Ted Nugent, Rusted Root and No Use For A Name. 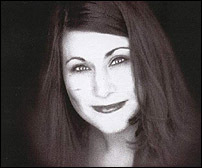 Sheller started in publicity as an assistant to the head of Media Relations at Maverick Records in 1999. She served as administrative support until being promoted to tour publicist and finally publicity coordinator at Maverick. She assisted on campaigns for Deftones, Michelle Branch, Meshell Ndegeocello, Tantric and Alanis Morissette, among other Maverick artists. "Jennifer is a strong addition to the MSO team," says MSO president Schneider. "With radio and video playlists becoming increasingly constricted, her role of providing regional publicity for our touring artists–in newspapers, weeklies, college publications and 'zines, plus various local TV outlets–is crucial. Jennifer knows how to get in there and turn the press onto new music, whether it's a debut album or a new release from an established artist."